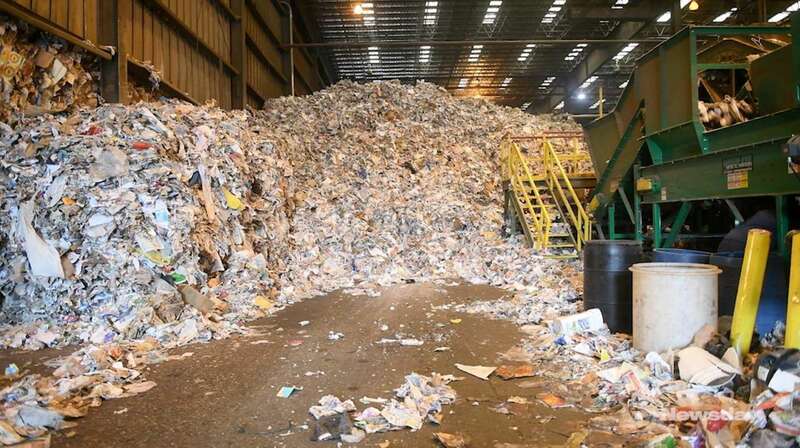 Ever since China stopped accepting the bulk of our recyclable waste last year, the state of recycling in the United States has been in chaos as more cities are canceling their recycling programs. Part of the reason is that the stuff we dump into the blue recycling bin is often contaminated, but a bigger culprit is that the entire system of recycling in the United States was set up to absolve container manufacturers and retailers of the costs of disposing of the products they sell, and instead pass those cost off to cities and states (there’s no national recycling mandate in the U.S.). It’s for these reasons that this week The Recycling Partnership (an industry-backed non-profit started to create recycling solutions) launched the Circular Economy Accelerator, an initiative whose ultimate goal is to deliver a robust circular economy for the U.S.
Why This Matters: While we need to shift away from single-use items as a society, it’s unrealistic to expect that people will stop buying bottles of soda or water–even the most conscious of us forget our refillable water bottles sometimes. We’re going to have to think of new recycling solutions (hey, Oregon’s bottle deposit program has been a huge success) and industry should certainly be a stakeholder in that conversation. However, while we brainstorm new recycling systems, we’re also going to have to find ways to significantly decrease our reliance on plastic packaging as plastics aren’t infinitely recyclable–bottles can be turned into, say, a fabric and after are no longer recyclable.